For the second time in a week, the Supreme Court has rejected the government of Puerto Rico’s efforts to use its self-governing powers — this time, nullifying the commonwealth’s attempt to devise a mechanism to work its own way out of more than $20 billion in public debt. The five-to-two ruling on Tuesday in Puerto Rico v. Franklin California Tax-Free Trust left the financial fate of the island entirely in Congress’s hands. A compromise debt-revision solution passed the House last week and now awaits Senate action. Last Thursday, the Court ruled that the commonwealth could not independently prosecute individuals if they already had faced federal charges for the same crime, finding that the island was not a separate entity for purposes of criminal prosecution. The new ruling in the debt cases cut more deeply into Puerto Rico’s powers by largely shutting it out of a right to restructure the huge financial obligations run up by its three public utilities — the sources of water, electricity, road work, and public transit on the island. As if to reinforce its current view that United States territories are mainly dependent on Congress, the Court on Monday separately turned down an attempt by individuals born in the territory of American Samoa to gain the right to U.S. citizenship from birth, under the Fourteenth Amendment. Samoans have been designated by Congress as “U.S. nationals, not citizens.” Theirs is the only U.S. territory whose population is denied citizenship. The case in which the Court denied review was Tuaua v. United States. Although the Court’s two decisions on Puerto Rico and its order not to consider citizenship for Samoans were legally independent of each other, the three cases had been part of a rising campaign for self-determination in U.S. territories and, in particular, to persuade the Court to reconsider a series of early twentieth-century decisions (the so-called Insular Cases) that modern critics complain were based on outmoded notions of racial supremacy and colonial dominance. The Insular Cases precedents have been used to maintain territories’ dependence on Congress. It is now clear, in the wake of the Court’s actions in these cases, that the only way for Puerto Rico to gain equal stature within the U.S. governmental structure is to seek statehood — a highly controversial issue among Puerto Ricans. American Samoa has not been granted commonwealth status, like Puerto Rico’s, but that would not necessarily mean it could never qualify for statehood. Puerto Rico’s governor is seeking a chance to appear next week before a United Nations committee on self-determination to register a complaint about the commonwealth’s lack of clear self-governing capacity. The United Nations, however, has no power to alter the island’s status under the U.S. Constitution. The Court’s ruling in the debt case involved a highly complex effort to unravel actions by Congress in dealing with Puerto Rico under federal bankruptcy law. While the U.S. states are free to allow their local governments to file for bankruptcy if they become financially insolvent, Congress has denied that right to Puerto Rico. Because that route was not open to the commonwealth, its legislature passed its own financial Recovery Act two years ago. The law would have restructured the public utilities’ debts, but without gaining consent of all of the investors who hold those debts. The Recovery Act was challenged by investment organizations such as hedge funds. But that Puerto Rico-devised alternative was struck down by the Court on Monday in a finding that federal bankruptcy law preempts any local law enacted by the commonwealth on debt restructuring. Puerto Rico had complained that being shut out of bankruptcy law while also being denied a right to self-help in this field left the commonwealth with no way to remedy its debt crisis. That argument did not persuade a Court majority, so the commonwealth was left with one option: get help from Congress. The bill that passed the House last week would not put Puerto Rico in charge of its own debt situation under federal bankruptcy law. Instead, it would create a new financial oversight board to move toward restructuring even while attempting to restrain spending by governing entities in the commonwealth. The Obama administration and a bipartisan group of members of Congress support the measure, so its chances of becoming law fairly soon appear to be strong. The commonwealth is close to defaulting again on repayment obligations. 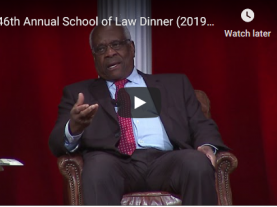 Justice Clarence Thomas wrote the majority opinion, joined by Chief Justice John G. Roberts, Jr., and by Justices Stephen G. Breyer, Elena Kagan, and Anthony M. Kennedy. Justice Sonia Sotomayor dissented, joined by Justice Ruth Bader Ginsburg. Justice Samuel A. Alito, Jr., took himself out of the case, apparently because of some of his personal investments. 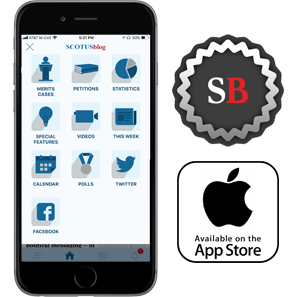 The Court’s denial of review of the “birthright citizenship” claim by a group of American Samoans born in the territory came after the Obama administration and current government leaders in the territory opposed review. The local leaders had argued that, if citizenship became a reality in American Samoa, it would undermine the nature of Samoan life, which is built on notions of tribal solidarity and mutual dependence.